Congrats to all on surviving the chaos and crowd that is the Woodbridge Invitational! It was a great night for fast racing with results linked below! Senior Boys Team: 1st overall!! JV Girls Individual: Top 5 Scorers separated only by 24 sec! Varsity Girls B Individual: Top 5 Scorers separated only by 17 sec! Varsity Girls Sweepstakes Individual: Led by Brooke Inouye and Olivia Hacohen, with less than a minute separating the top 5 scorers! Varsity Girls Sweepstakes Team: 11th overall against some of the top teams in the nation! 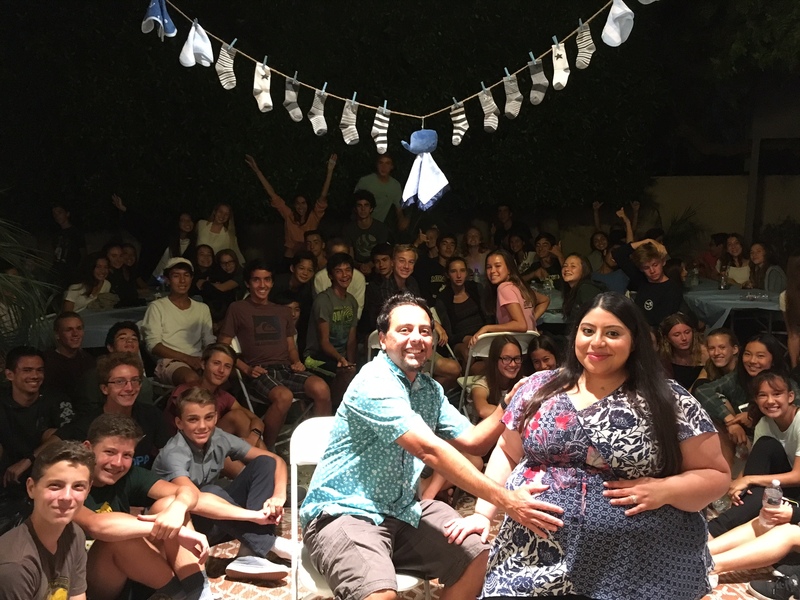 A warm thank you to the Garrells for hosting the team at our first pasta party and to Sally Peel and Kimberly Konis for their work on the baby shower! 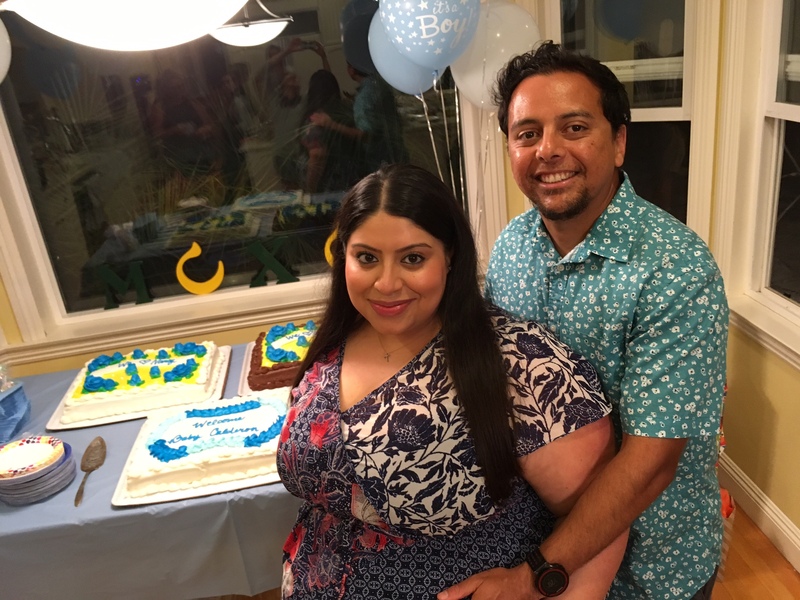 It was a great celebration in anticipation of Baby Calderon! JV Girls Results Placed 5th as a team with Sofia Vialpondo leading the way in 14th place! JV Boys Results No team results, but overall race winner was Alan Faber! Sophomore Girls Results Placed 5th as a team with Piper Newton leading the way in 10th place! 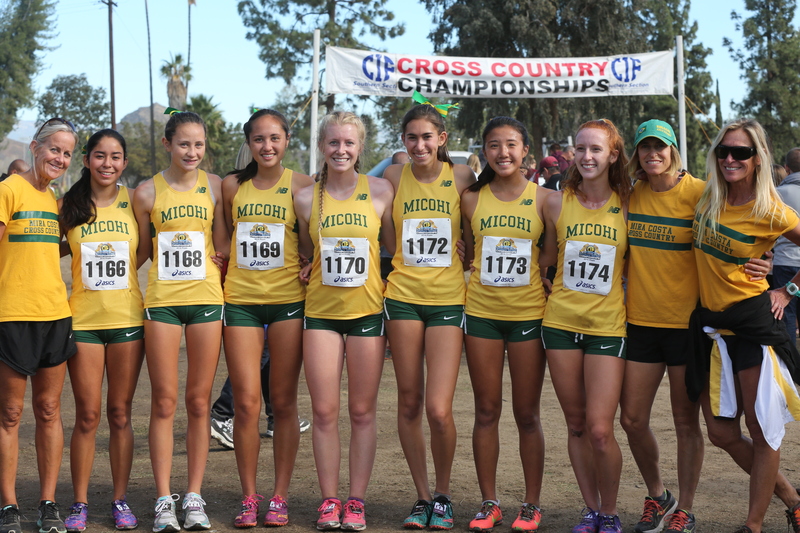 Freshmen Girls Results Placed 6th as a team with Lauren Chiu leading the way in 7th place! Varsity Girls Results Placed 6th as a team in the most competitive heat of the evening, with Brooke Inouye and Olivia Hacohen leading the way in 18th and 19th place! Individual Results Congrats to Xavier Court on placing first in the senior race, Cy Chittenden on placing 3rd in the junior race, and freshmen Cormac Carew and Will Garrell on placing 4th and 6th in the freshmen races! Team Results Congrats to all the boys teams as Freshmen placed 2nd, Sophs placed 3rd, Juniors placed 3rd and Seniors placed 1st! PARENT PARTY Special thanks to Coach Annie for leading the charge on this! What a great night!! If you want to drive your athlete home after any meet (instead of having them take the bus home), you will need to turn in this form to the coaches. Coaches will not accept forms on meet day. UNIFORM NOTE for all returners–we are offering a team warm-up jacket for the first time in two years! It will be the same jacket used during track season and will not be changing for the foreseeable future. It is considered a part of the uniform. Every athlete will need to bring a combination lock for the locker room lockers. Summer is here and xc training is underway!! Our summer training includes running miles as well as fun team bonding activities! Make sure to join our Facebook group HERE. The Mammoth Trip is open to Sophomores, Juniors and Seniors only whom attend 85% of the summer team runs and complete (for girls) TWO 10 miles runs or (for boys) TWO 11 mile runs in the month prior to the trip. All Costa athletes must register online at 8to18. Instructions can be found HERE. A current doctor-completed physical form is required. The deadline to turn in completed physical forms and Athletic/Activity Emergency Cards is Thursday, July 20th. Forms should be turned in to the secretary in the Admin Office. Current athletes whose physicals are out of date have received notices. Make sure to renew them by the deadline. Congrats to our Daily Breeze All-Area Team Athletes!! Matt Arruda, Cy Chittenden, Scott Healy and Quinn Satow were named to the Daily Breeze all-area boys second team. 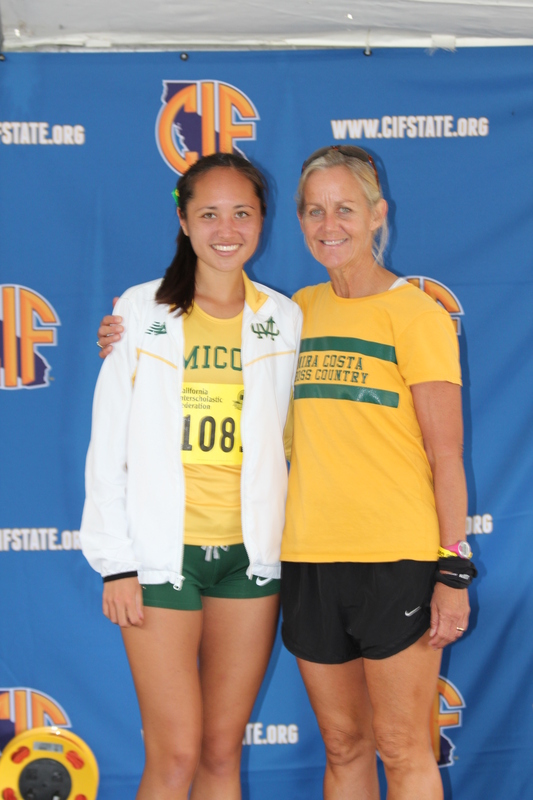 Brooke Inouye was named to the Daily Breeze all-area girls second team. Caleb Llorin and Xavier Court were named to the Daily Breeze all-area boys first team. Sierra Andrade and Olivia Hacohen were named to the Daily Breeze all-area girls first team. 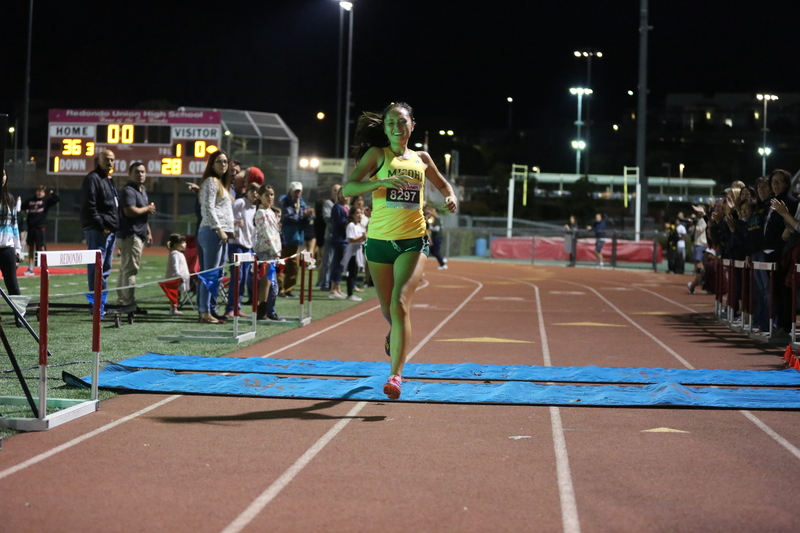 Melia Chittenden was named the Daily Breeze girls runner of the year! Results from the State Meet are found here: Girls. Girls team placed 11th! Congrats to Caleb Llorin on placing 2nd at the State Meet and Xavier Court on placing 8th!! The boys placed 5th as a team in D2! What a season for Caleb, Xavier and the boy’s team!! 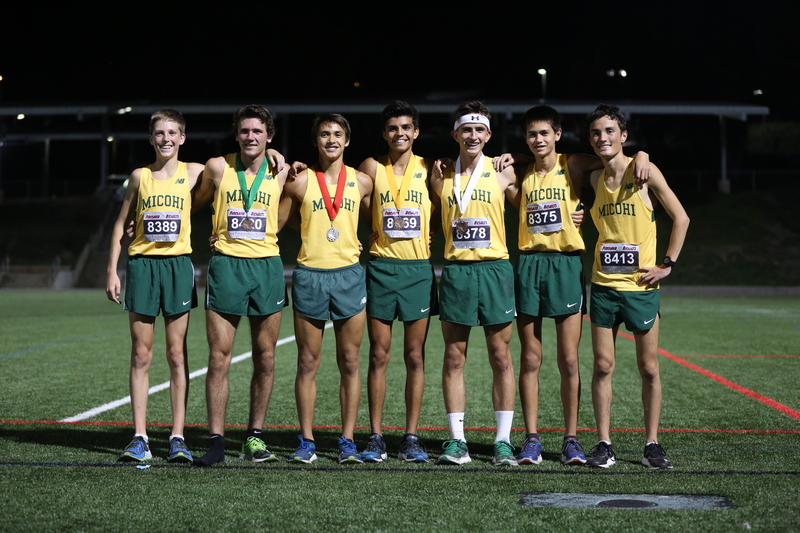 Results from the State Meet are found here: Boys Boys team placed 5th! MCXC is headed to the State Meet!! Both teams will be racing up in Fresno, CA at Woodward Park, Saturday 11/26. Congrats to both teams and coaches!! CIF Finals here we come! Congrats to our boys and girls varsity teams for making it through the prelim round onto CIF Finals next Saturday! Both teams placed second in their heats. Next up our teams will be competing in the Finals round where the top 7 teams in each division earns a spot at the State Meet in Fresno!! What a great night for MCXC!! We had many PRs for athletes to end their seasons on and an exciting kick-off to post-season racing for our varsity teams! 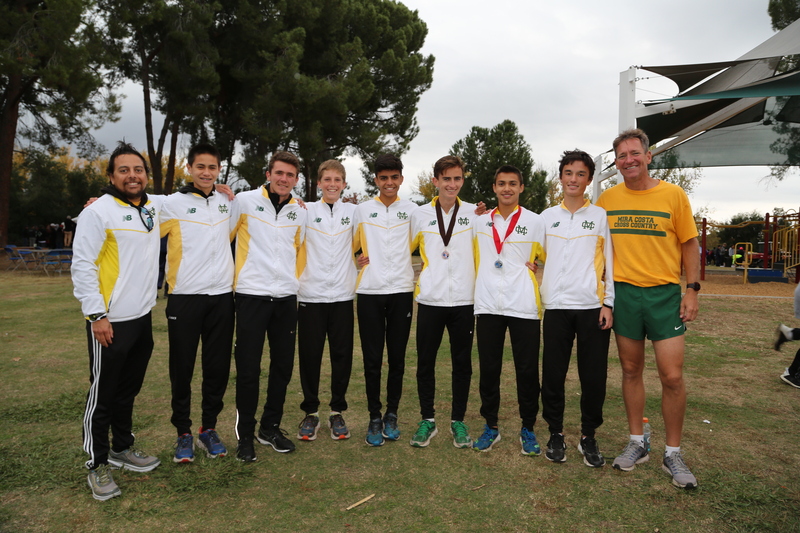 Congrats to the boys varsity on winning the Bay League title!! Congrats to Melia Chittenden on her individaul Bay League title!! 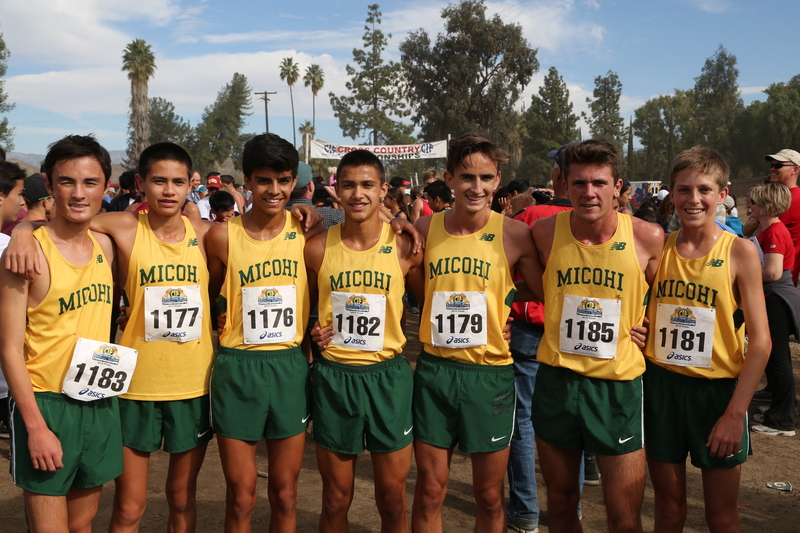 JV Boys, 1st Place, highlighted by a win by Chris Shirazi and a Costa sweep through 5! Varsity Boys 1st Place, Bay League Champs with a score of only 23!!! !